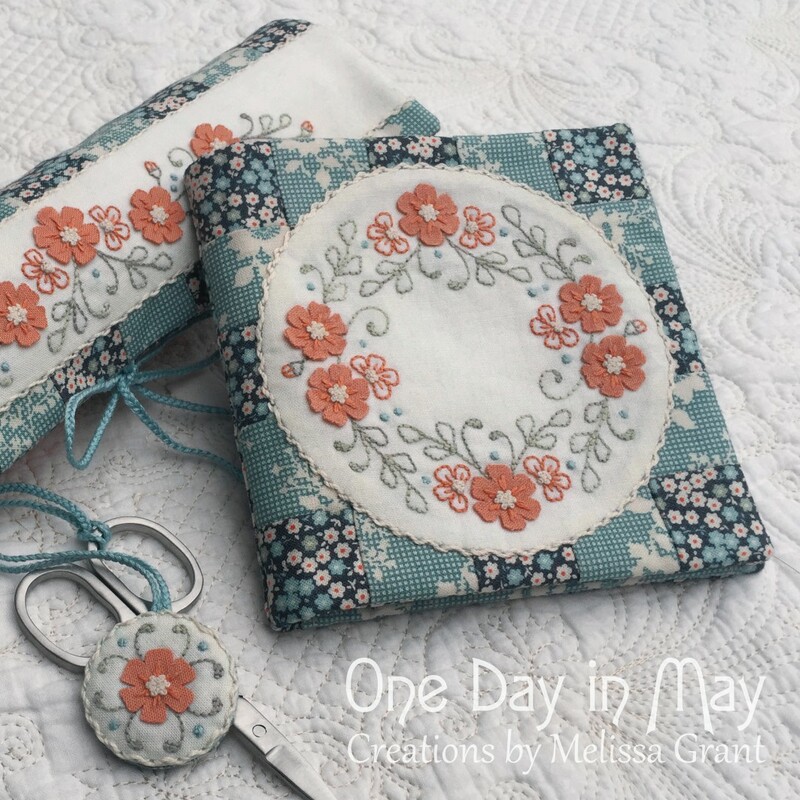 – The “Petite Blooms ~ Sewing Set” pattern includes a transfer sheet with transfers for all embroidered panels, a full sized pattern sheet and an abundance of photographic and illustrated instruction. 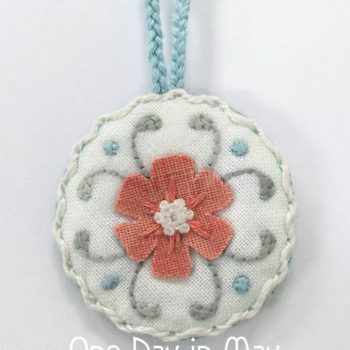 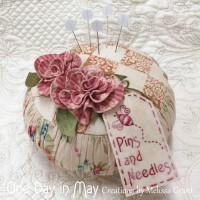 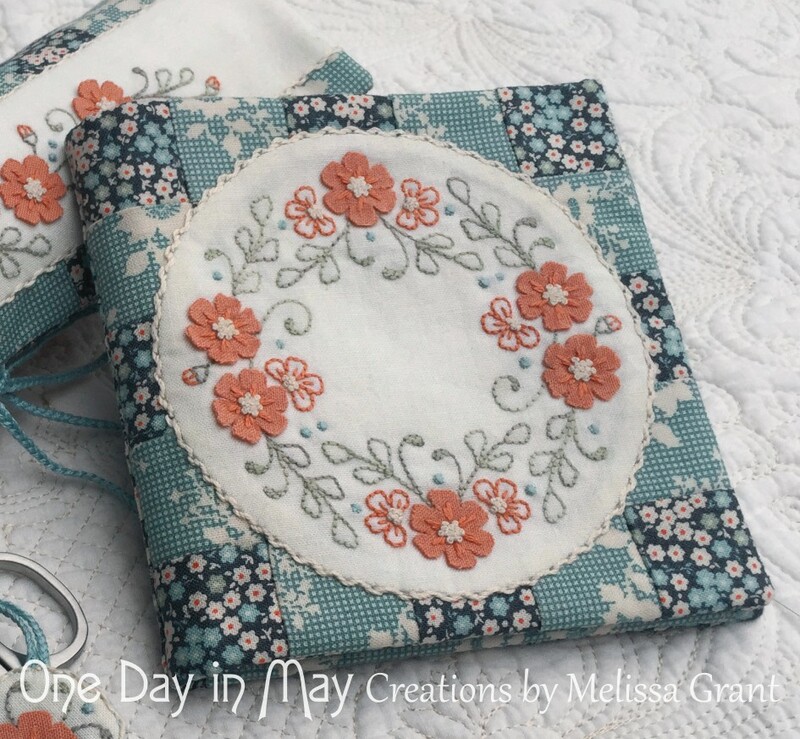 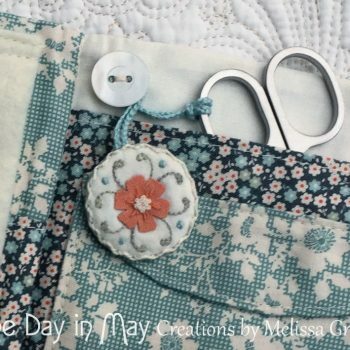 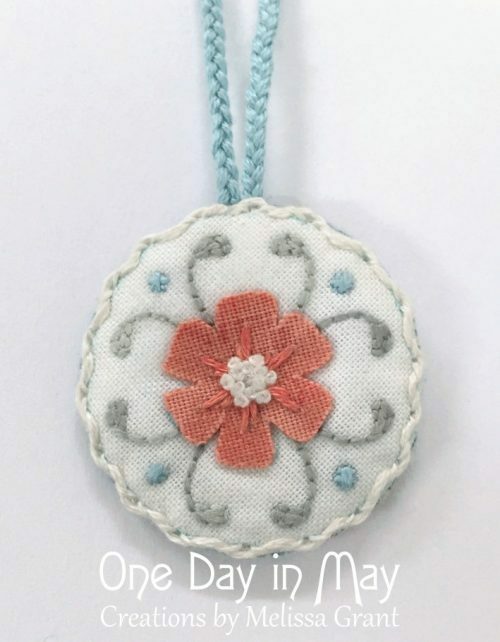 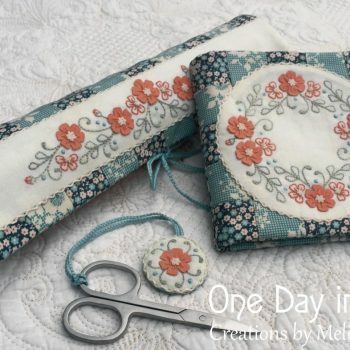 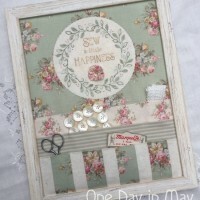 – Combine patchwork, applique, embroidery and dimensional fabric flowers to create this pretty yet practical sewing set. 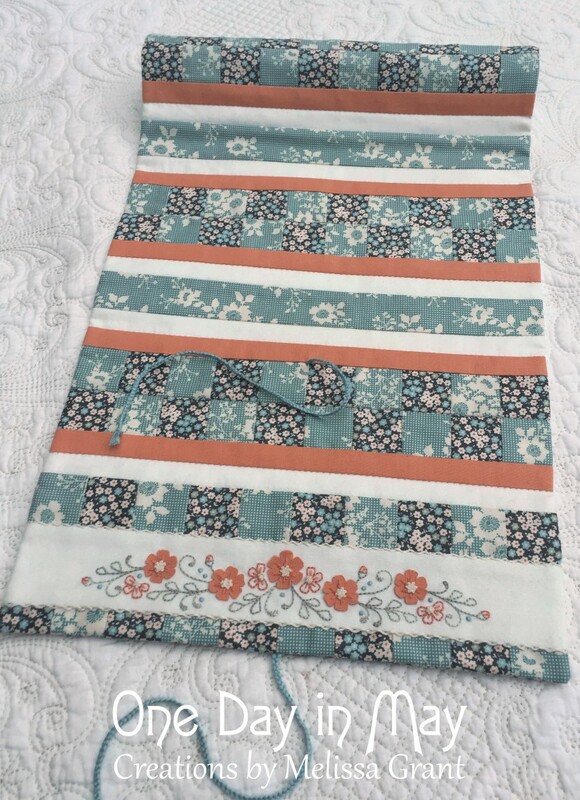 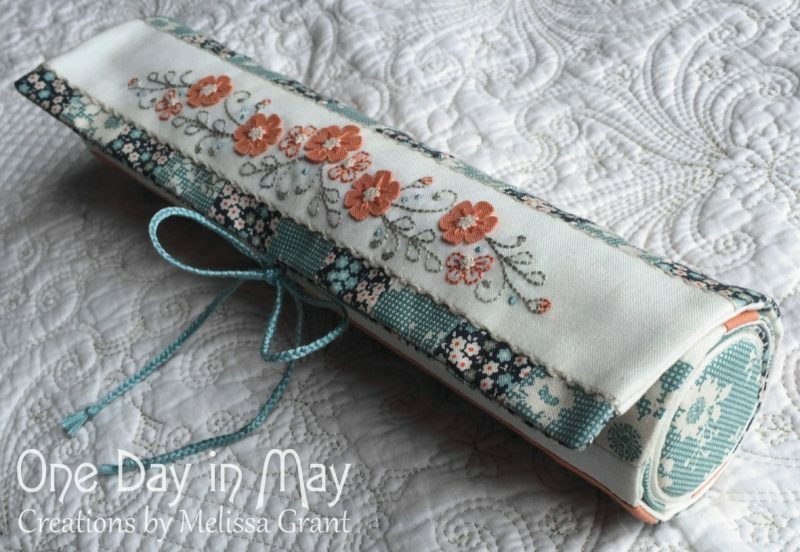 Make a needlework roll for storing your finished needlework blocks or works in progress, a needlebook with matching scissor fob… or both. 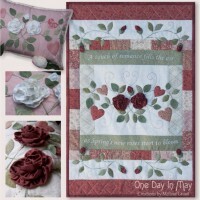 – The embroidery panels are embellished with flowers cut from easily made “double-sided fabric”. 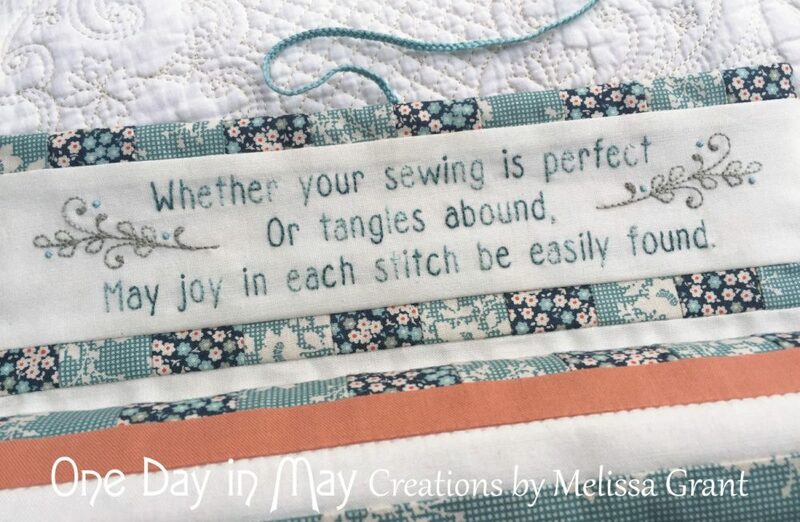 They are attached to the feature panels with central embroidery, leaving the edges free to sit up a little from the background, adding a dimensional quality to the design. 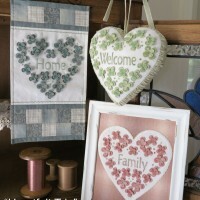 Ecru threaded backstitch is sewn around the outside of each embroidery panel, giving the effect of a subtle lace edge. 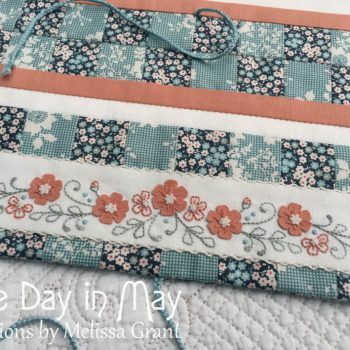 – The “Petite Blooms” needlebook features a patchwork cover with embroidered panel with dimensional flowers. 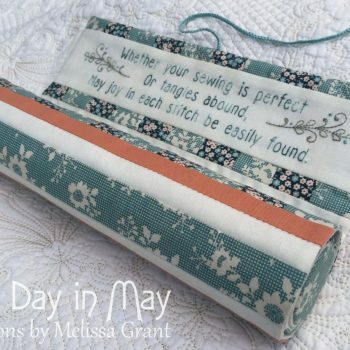 Inside, you’ll discover felted wool needlekeeps, a “flap pocket” and three open pockets. 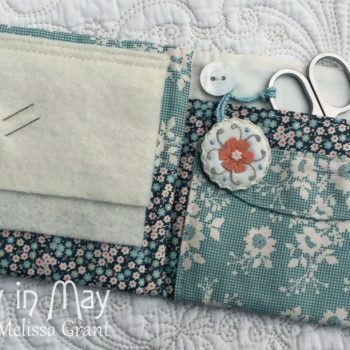 The needlebook is securely closed with a braided tie that winds around a button on the back. 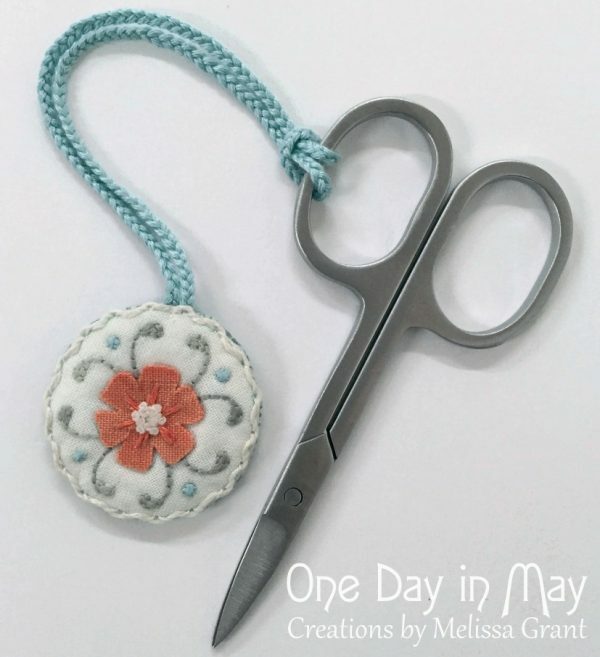 A matching scissor fob completes this sweet sewing set. 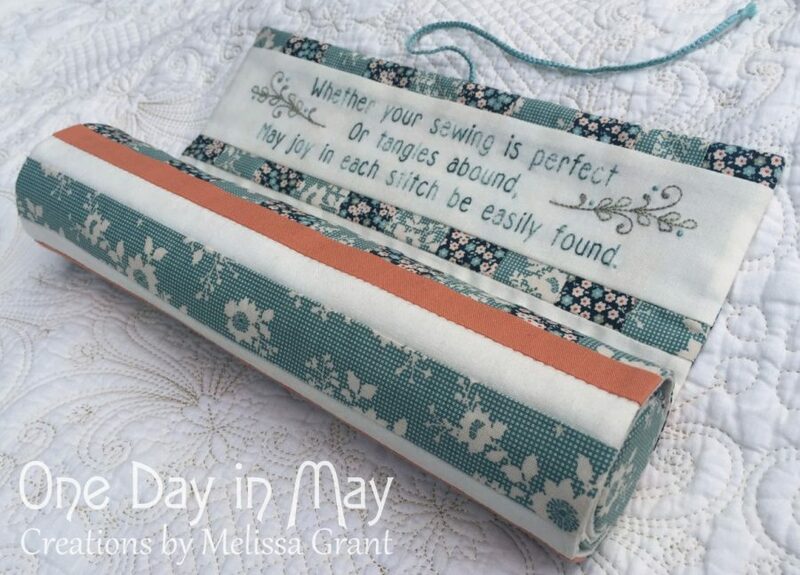 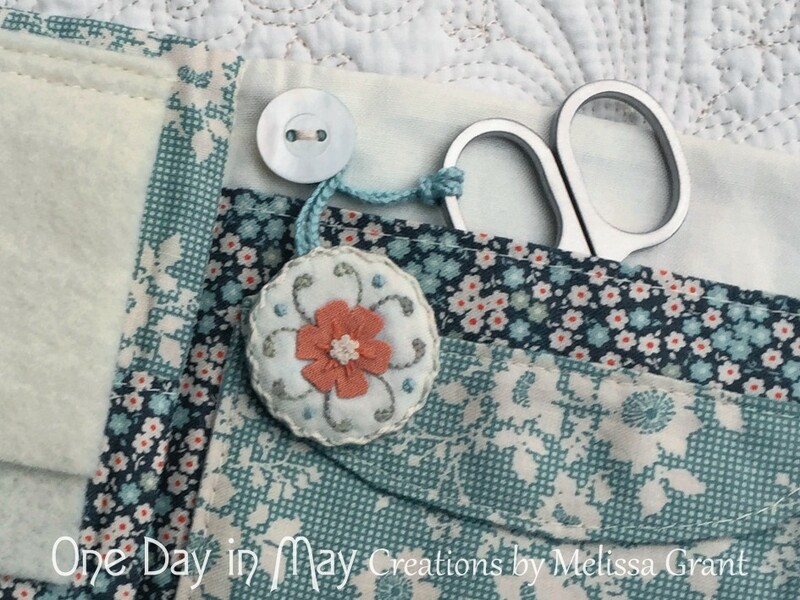 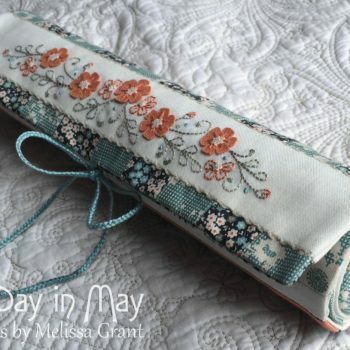 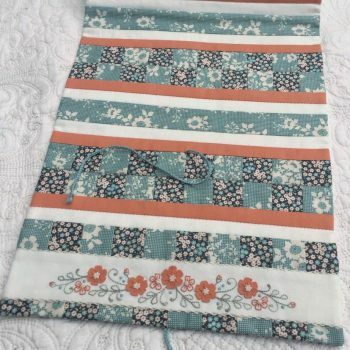 – Lay your needlework blocks inside the “Petite Blooms” needlework roll, roll up and tie with a bow for safekeeping. 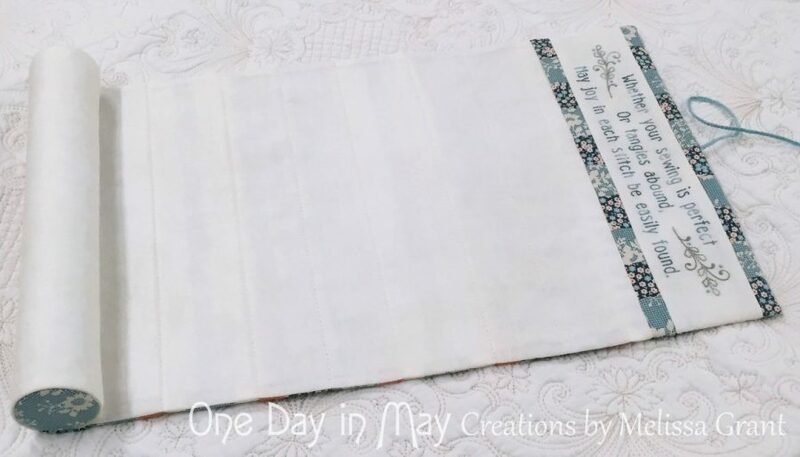 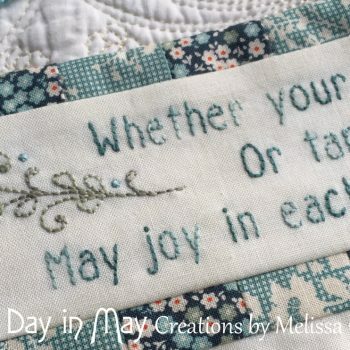 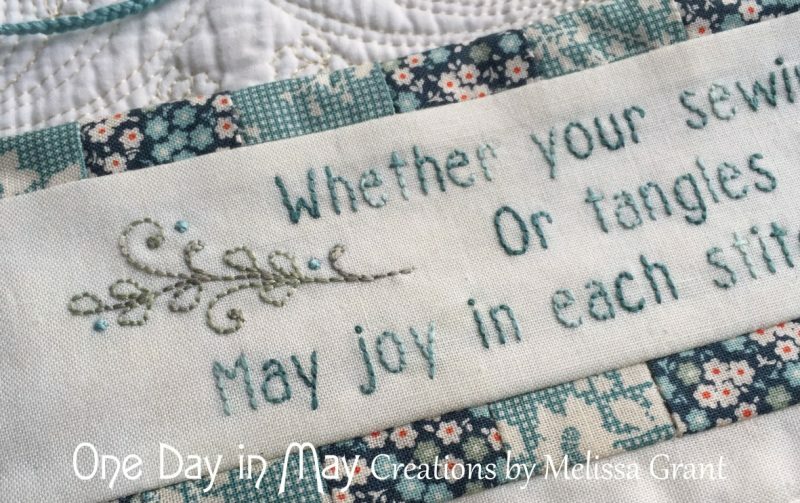 Each time you open the roll an embroidered verse with patchwork borders is revealed. 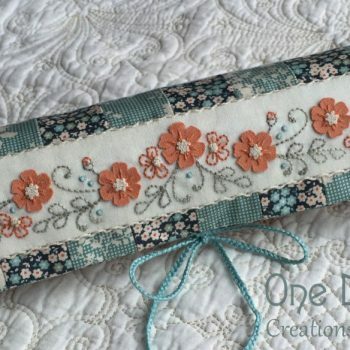 The outside of the needlework roll combines rows of simple patchwork and a floral feature panel with embroidery and dimensional flowers. 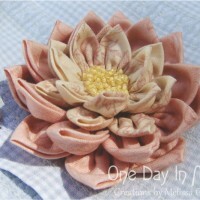 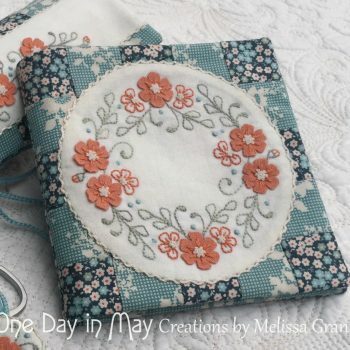 – The “Petite Blooms ~ Sewing Set” pattern includes iron on transfers for all embroidered panels, a full sized pattern sheet and an abundance of photographic and illustrated instruction. 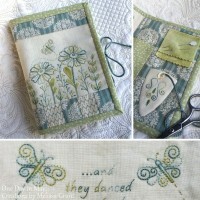 – The embroidered panels are embellished with flowers cut from easily made “double-sided fabric”. 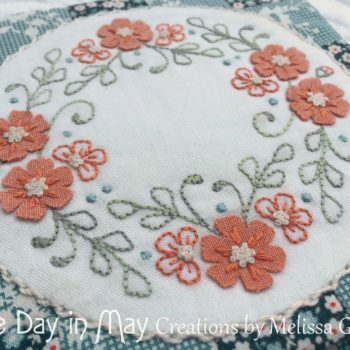 They are attached to the feature panels with central embroidery, leaving the edges free to sit up a little from the background. 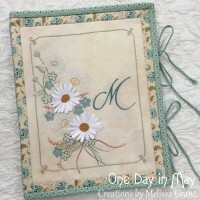 This adds a subtle dimensional quality to the design. 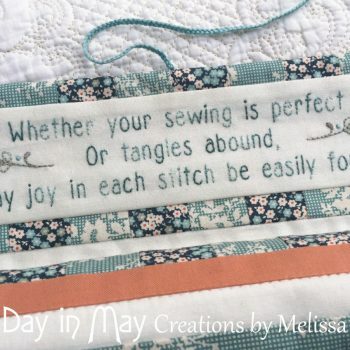 Ecru threaded backstitch is sewn around the outside of each embroidery panel, giving the effect of a subtle lace edge. 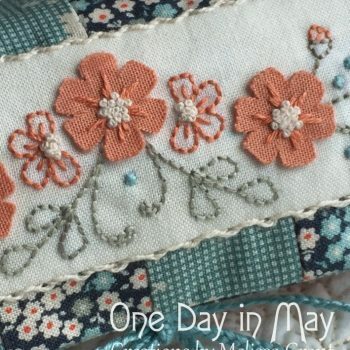 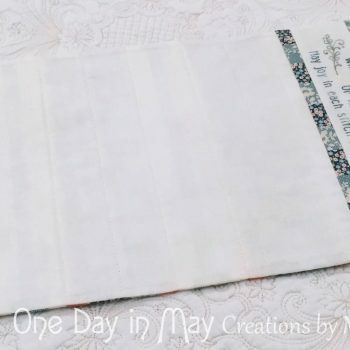 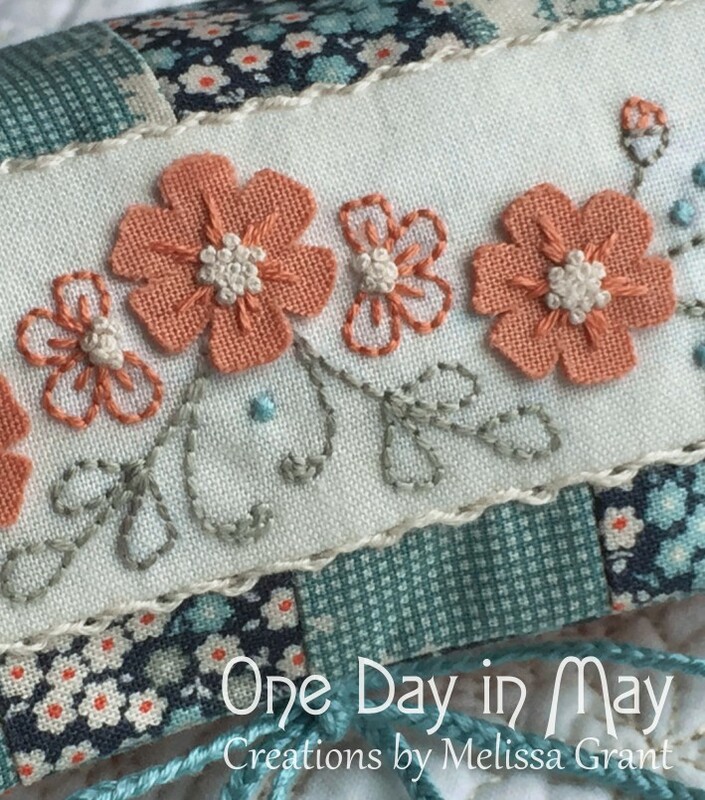 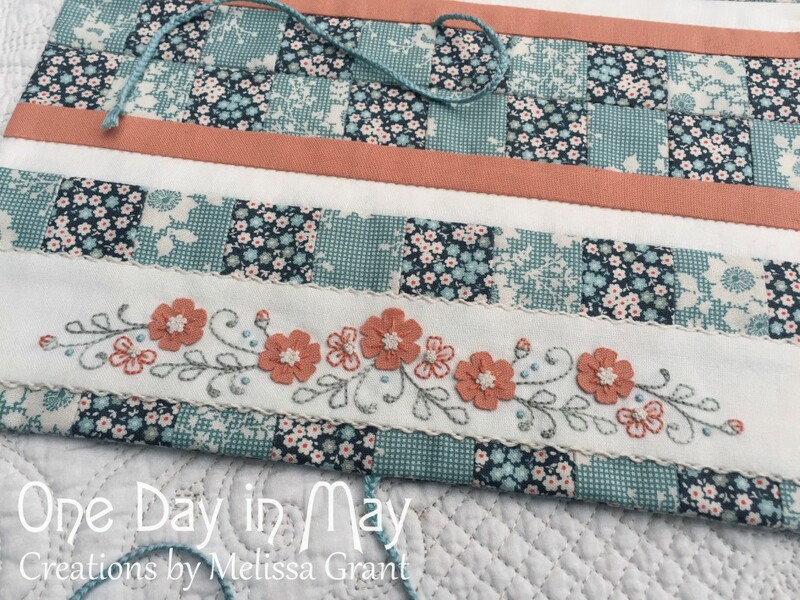 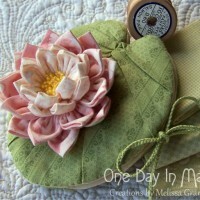 – The “Petite Blooms” needlebook features a patchwork cover with an embroidered panel. 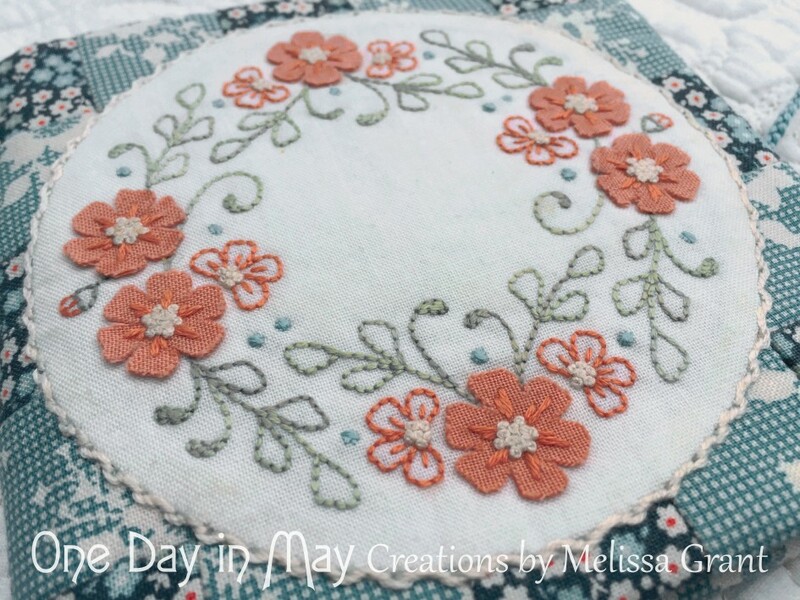 The panel design is embellished with dimensional flowers. 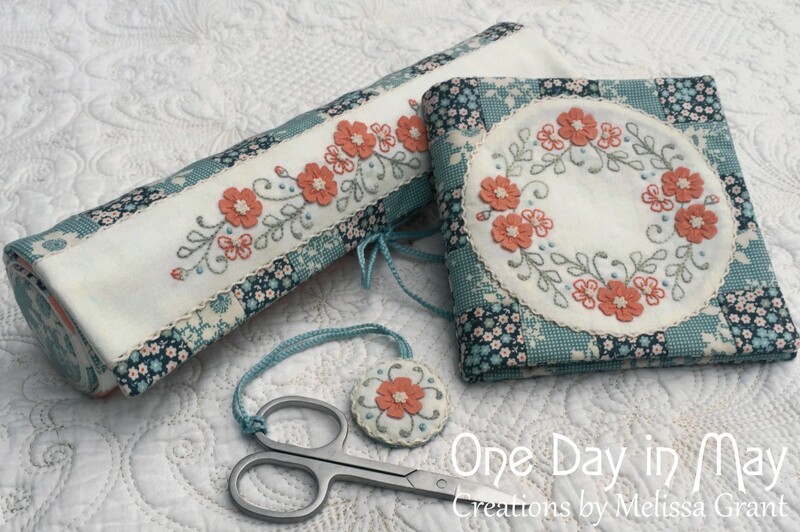 Inside, you’ll discover felted wool needlekeeps, a “flap pocket” and three open pockets. 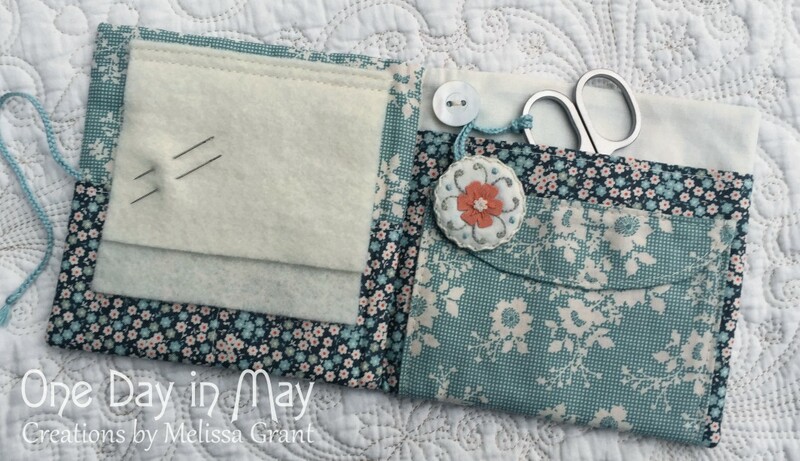 The needlebook is securely closed with a braided tie that winds around a button on the back. A matching scissor fob completes this sweet sewing set.